How to Choose The New Amusement Equipment According to The Cost of Investment? Home News Jinshan Blog How to Choose The New Amusement Equipment According to The Cost of Investment? Now there are many new amusement equipment in the market, but for the operator, when choose the amusement equipment, it not only choose the appearance, but also considers the cost of investment. So how to choose a suitable amusement equipment according to the price? For the investment about the amusement equipment, generally we should choose a suitable new amusement equipment according to the scale of playground. 1.For the kids playground in shopping mall, small and cheap amusement equipment will be suitable, because generally it will help to attract more players and not win the profit in fact. 2.Big amusement park always have many passenger flow volume, so the new amusement equipment can bring more economic benefit. 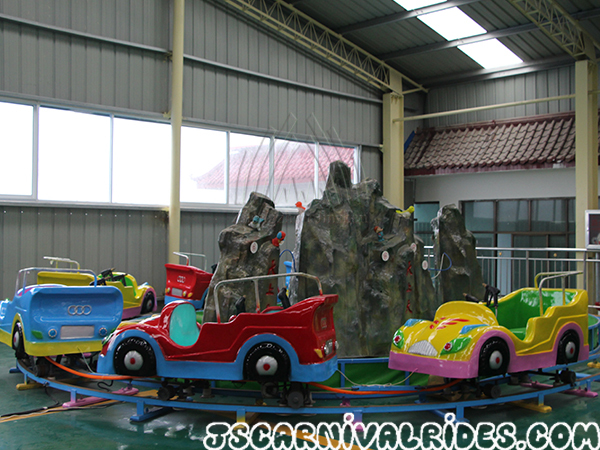 We can choose the new and expensive amusement equipment which is more popular among kids. 3.For the small and medium operator, because the cost of investment is limited, it can’t purchase the big scale amusement equipment. It is a better way to make a choice according to the own economic strength. The amusement equipment which has a suitable price will will be more suitable for the operation. It is better not to choose the big and new amusement equipment for small playground. Because generally their price and cost of maintenance are expensive, and the key is probably not to bring us a good earning. Prev： What Should We Do if A Large Amusement Device Is Abnormal?